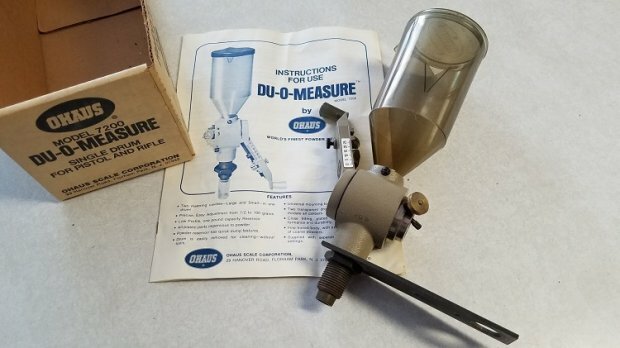 For sale is a nice Ohaus DU-O-MEASURE powder measure for reloading. 1. 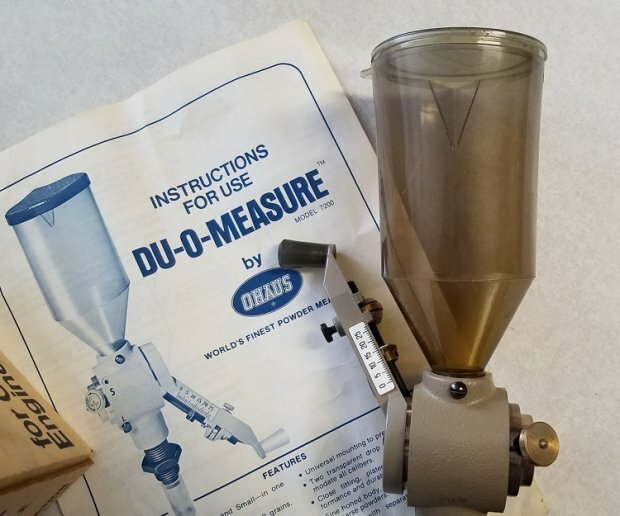 "RE: Ohaus powder measure"
2. "RE: Ohaus powder measure"
3. 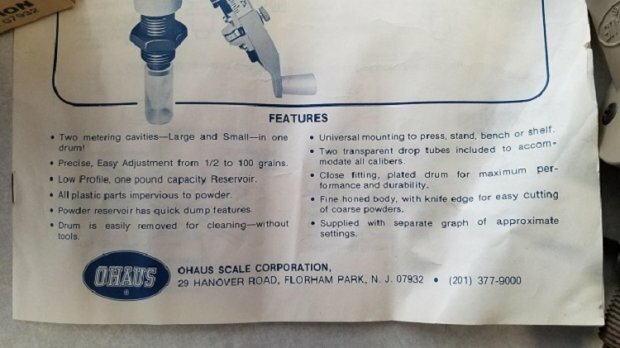 "RE: Ohaus powder measure"